The other day I had one of those “what can I make out of the contents of my fridge” kind of days. I was stuck between not wanting to go shopping and not wanting leftovers. Rock and a hard place. 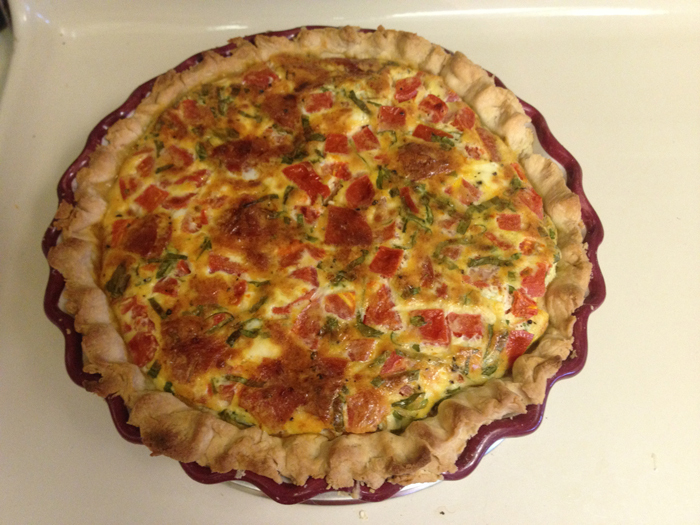 But as I looked in the fridge, I realized I had enough odds and ends to make a quiche, so I decided to go for it. Why not? 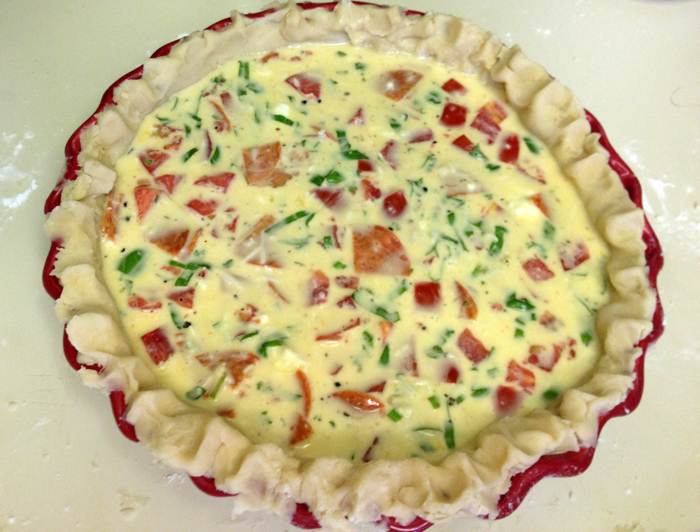 It turned into a sort of Caprese quiche, as Caprese is my favorite. 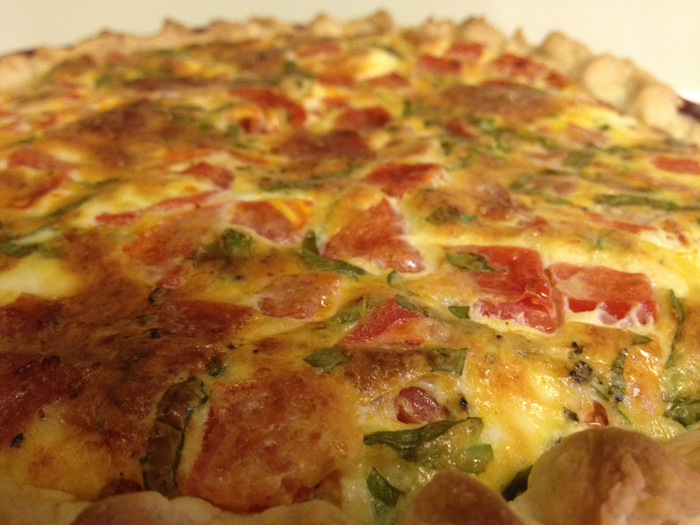 But you can pretty much throw anything into this quiche, it’s quite forgiving. And delicious. Crumble butter into flour until the pieces are pea sized or smaller. Add 4 tablespoons ice water and sprinkle of salt. Mix together, add more water if needed. Roll out with a rolling pin and place in pie dish. Beat eggs together with cream. Mix eggs with basil, tomato, pepperoni, and mixed cheeses. Pour into pie crust. Bake at 350 for 35 minutes, or until top is golden and center is slightly wiggly. Let sit for 10 minutes before cutting. Serve hot and enjoy!